We love our spa. I just want to say that we are impressed again by Wind River Spas. 12 years ago we purchased a spa and we were very impressed with the customer service at that time. Here we are 12 years later... I am even more impressed this time because some companies can get it right once. Only a few can do it right consistently. I have recommended Wind River several times and everyone that purchased a spa was as happy as we are. Thanks for building and delivering the best spa in Colorado. We're really happy to have a local option when ordering a custom spa. 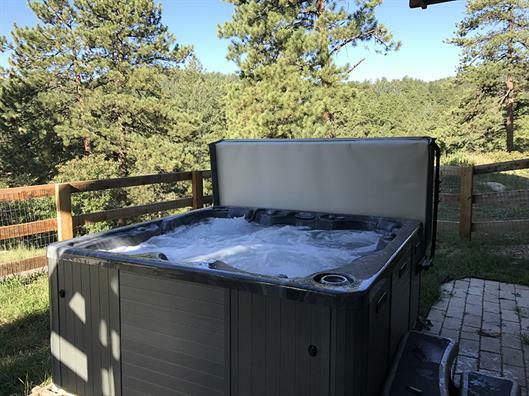 We like that Wind River Spas are built for Colorado's winters, and that if there are any problems the spa can be serviced by a local technician. We were impressed with the price and how much customization we were able to do. 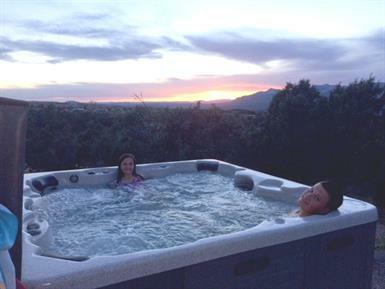 The price was great and we would definitely recommend Wind River Spas! Our family is loving our new Wind River spa. The Summit model has been perfect for us, and we have soaked almost every day. 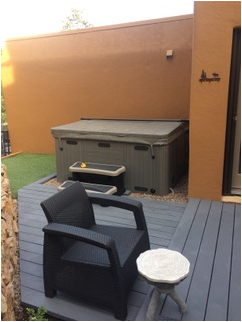 The decision process for replacing an old broken tub was easier for us after I learned about Wind River Spas. Visiting the showroom was key, and the salesperson professionally showed us the various spas and options. Deciding right then and there to buy was easy as I had done some homework; the spas are well reviewed for a good reason: they are engineered to be low maintenance, chemical free, and easy to repair down the road. Installation (by crane, no less) went smoothly. The jets and filtration system etc. are all working well. In the few weeks we’ve had it so far, it has been pure enjoyment. I forgot how great it can be for quality family time, as well as that warm and relaxed, healthy feeling afterwards. Thanks for building a better hot tub. I wanted to tell you about our experience with Wind River from our initial call through delivery and set up today. Justin came out initially and was so helpful and walked me though all the options and a thorough description of the process, the tubs, the options, and what to expect. He was very friendly and made me feel right at ease and well informed. Kyle and Mike delivered our spa today. They were fantastic! The old spa had to be removed through an obstacle course around the house and the new one brought in the same way. They were amazing to get it through there so deftly. They set it up in a tremendous thunderstorm and were so helpful and friendly. Kyle explained everything and again I felt well informed and at ease. It did not work right away so they called the service manager and he came right up and diagnosed the issue (it was our faulty wiring where the old electrician messed up the wiring in the breaker box). He was great too and explained it and showed me everything and fixed the issue (I can not recall his name but what a great customer service person). The hot tub looks great and the team were wonderful! I will be telling everyone I know about this awesome experience! This surpassed our high expectations based on the stories from our friends that have used Wind River before. Thanks so much to the whole team! 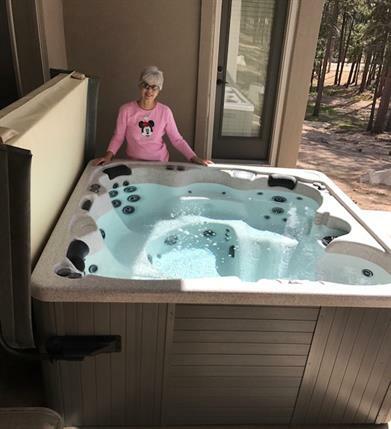 Our daughter, sons and grandsons twisted our arms until we agreed to check into having a hot tub installed, several days of on-line window shopping and a few trips to local spa dealers did not make us hot tub owners. One stop at Wind River Spas and one hour with Tyler was all that it took for us to make our decision. 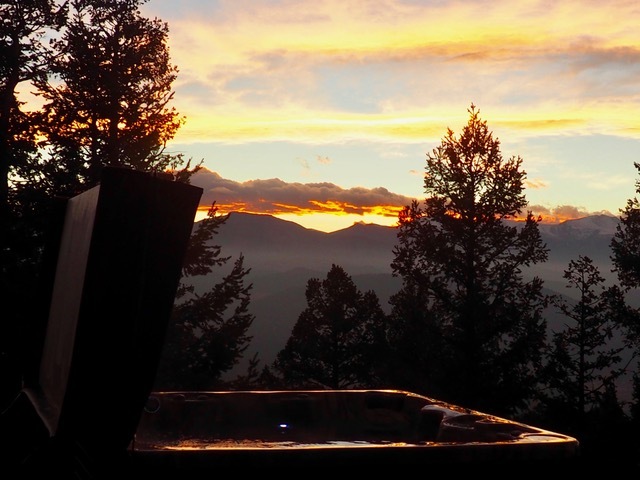 By the way it has been one of our best decisions, next to, moving to Evergreen Co.
From the initial site visit, area prep (by yours truly), pouring of the pad, final install, which required crane to get the tub close to the pad, we were soaking in the tub in less than 30 days. Everyone is happy! The Wind River team has been absolutely great to work with on all fronts, sales, service and management support. Best decision by far to purchase from the manufacturer, take their tour and rest / soak assured. 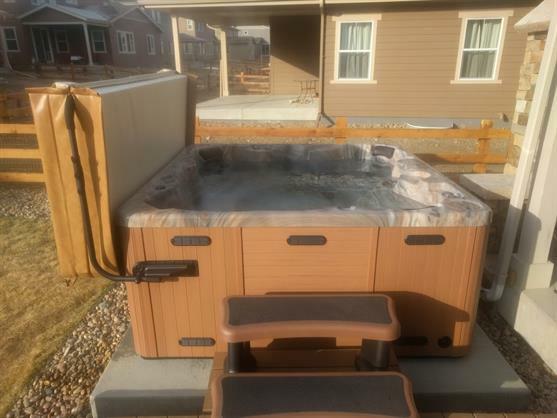 My latest and greatest hot tub from Windriver. My wife and I love it. As a matter of fact I'm standing in your store now as my brother is now buying his first tub from you. Thanks again for th best hot tub. We are thoroughly enjoying our new hot tub! We like all the new features that you added with the new digital touch controls, improved head rests, and easy to use jet knobs. We enjoyed our first Wind River spa, but after 8 years had to sell because of a move. But it was a win with the new improved features. The installers did a superb job of setting it up and giving us directions to use the new features. 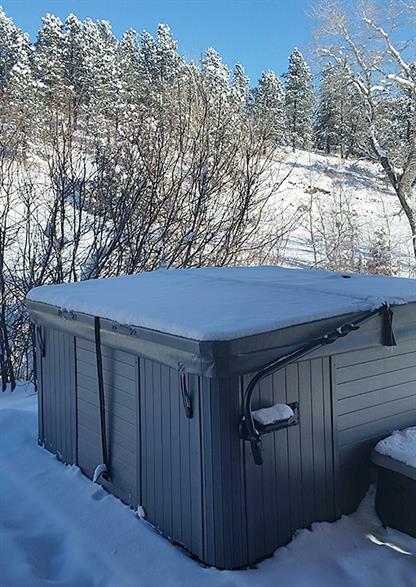 Thank you for manufacturing a high end hot tub for cold Colorado temperatures. We will enjoy many hours of relaxation and rejuvenation soaking in our tub in the coming years. Our Wind River Spa is as amazing as it looks. The quality of the spa and the service that we’ve experienced are as stellar as our views, and we could not be happier with our investment and our choice of spa companies. 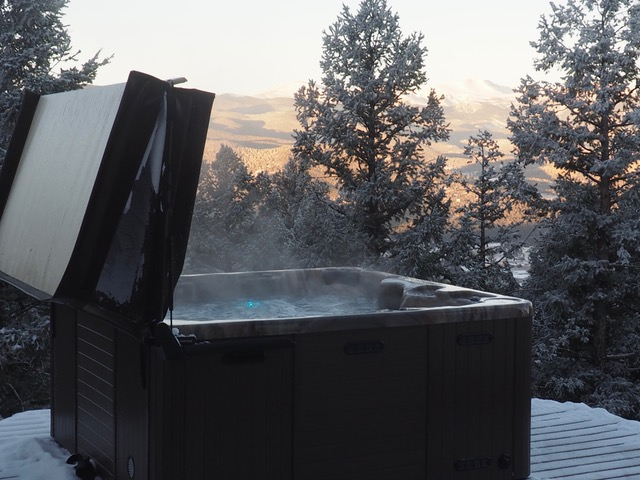 From the folks that helped us choose the best model for our setting, to the super-strong and friendly guys that delivered and set it up, to the follow-up support we’ve received, the team at Wind River Spas is truly outstanding! Thank you all for surpassing our expectations! What a great spa from a great company!! We've had the Typhoon spa now for a month. It exceeds all of our expectations! The design of each sitting position provides unique jet configurations. Rotating between them provides an exceptional message experience. Additionally, the thoughtful placement of the main control screen and two accessory controls, make it really easy to control the two main pumps, lights and the stir feature used when adding pH and Chlorine shock chemicals. The spa uses an ozonizer making it unnecessary to maintain chlorine or bromine levels. Anyone purchasing a hot tub should understand this benefit. Also, we opted for the stereo option which we are so glad for. The speakers are placed behind the speakers, enabling us to listen to relaxing music at low volume while the main pumps are running. Lastly I can't say enough about the company. The experience was exceptional from our first visit through delivery. We received no-pressure education and help with our planning and configuration. The delivery was on time and meticulous. This is a company that is justifiably proud of their superior product and service. Anyone considering a hot tub should be sure to visit this company. We are certainly happy that we did! The hot tub is intuitively designed so no questions on use thus far. It is also by far the healthiest feeling, smelling water we have experienced in a hot tub due in large part to the ozonation process rather than chlorine purification. We are in medicine and therefore can doctor recommend your units as more optimally therapeutic than other tubs, even ones that have after market ozonators.